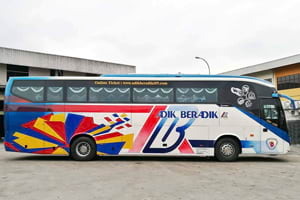 Adik Beradik Express, also known as Agensi Pelancungan D & Adik Beradik Sdn Bhd (APDAB) was officially incorporated on the 10th August 1988 to provide express and tourist bus operator services. The company has been expanding rapidly for the past 3 to 4 years. Today, their fleet size has grown to 22 units, which includes 18 express buses, 3 chartered buses and 1 tourist bus. 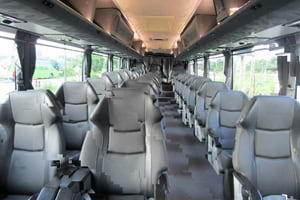 All the express buses are single-deck with 30 seat capacity. The most popular route provided by Adik Beradik Express is the trip that goes back and forth between Kuala Lumpur and Kuala Terengganu. Adik Beradik Express intended to penetrate the new market in the northern region. This route is basically a high-demand route yet still considered as less competitive with only several players involved. Besides, transportation to the north from the east coast region is only limited to bus transportation service. There is no train or flight available thus public transport users will depend solely to express bus services. By joining BusOnlineTicket.com, Adik Beradik Express now offers the convenience of online booking service for the tourists and locals.